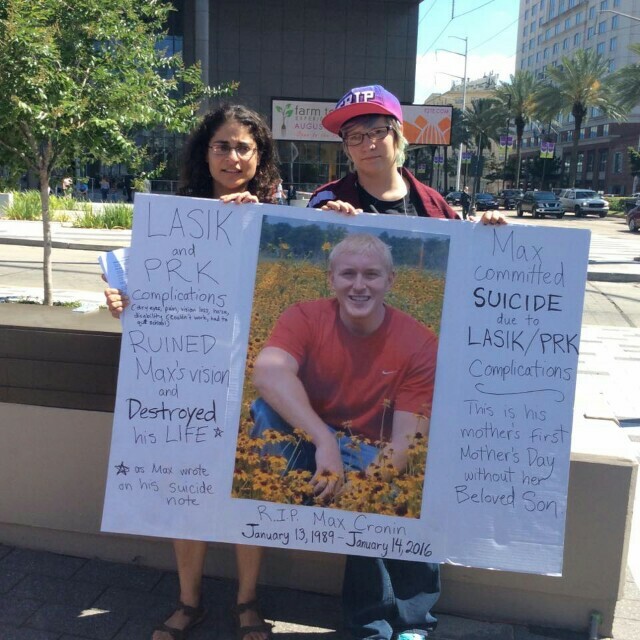 Activists protest at the Annual Meeting of Ophthalmologists this Mother's Day in New Orleans. Dr. Nancy Burleson spent Mother's Day without her son, Max Cronin, who committed suicide due to "side-effects" from refractive surgery. 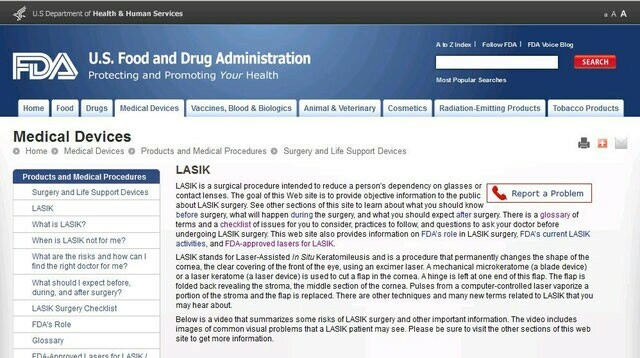 The FDA's former Chief Research scientist on Lasik, Dr. Morris Waxler, alleges that industry lied to the FDA about its adverse event rate in order to obtain FDA approval. See Dr. Waxler's site at HelpStopLasik.com.